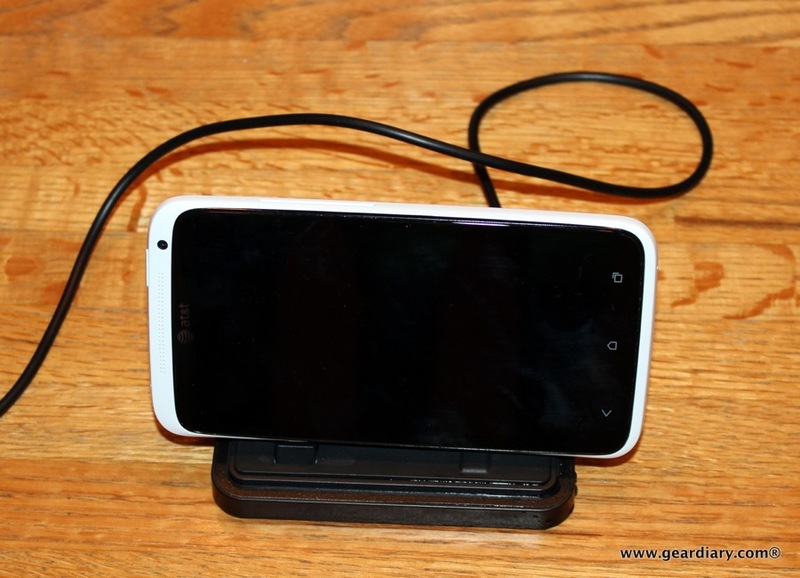 If you have a HTC EVO 4G LTE, HTC One S or HTC One X this sync/charge dock and cradle is for you. Seidio’s newest dock, the Desktop Charging Cradle/Dock lets you easily dock your smartphone in landscape and, for example, become a bedside alarm clock. Here’s a quick look and then your chance to win the review sample. Our newest Desktop Cradle combines familiar elements from our classic Innodock Jr. and convenient Desktop Cradle. The matte finish on this Desktop Cradle provides elegance to your desk or nightstand, while the sleek LED light indicates that the cradle is being powered. This is pretty much as simple a dock as you will find. It is solid, has non-slip, non-scratch pads on the bottom, and a flexible microUSB port that adjusts to the specific device and many, but not all, cases. The charge indicator light is subtle but easily seen and the price is right. 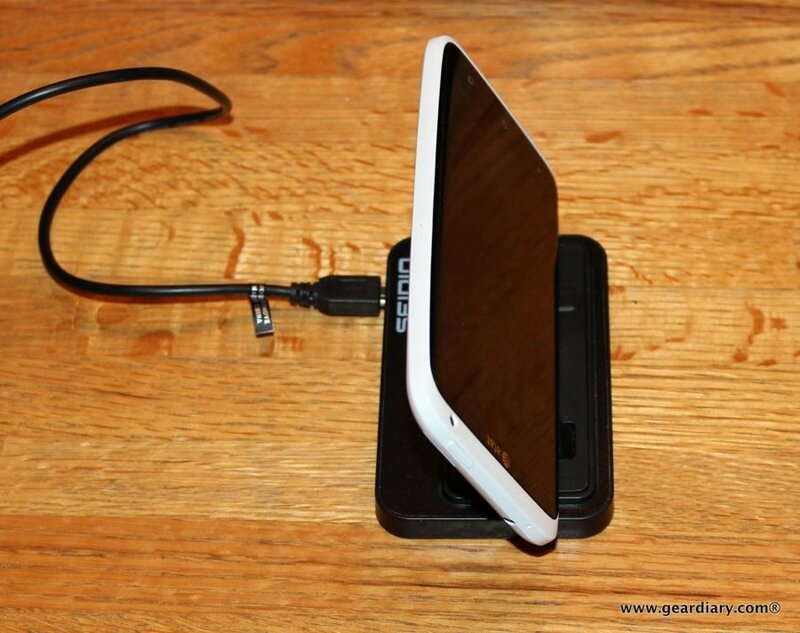 No, the dock does not come with a wall adapter but that isn’t a huge obstacle since the phones do. 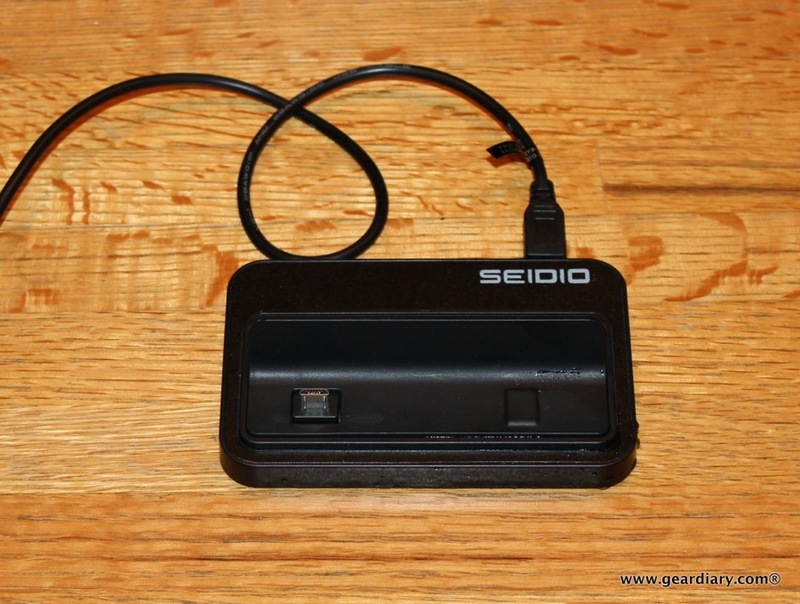 I don’t love the fairly large SEIDIO on the back but, at least it is hidden when a phone is docked in place. 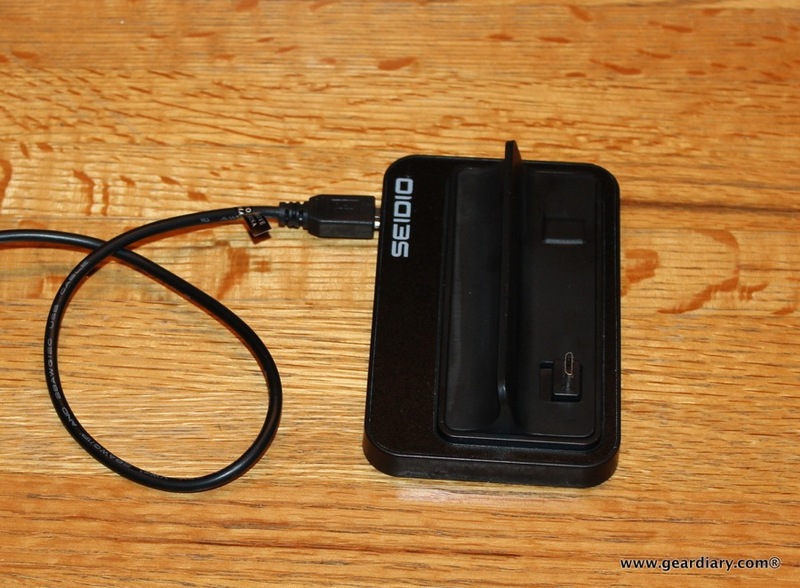 A note from Seidio: This product is not compatible with the CONVERT® and is not guaranteed to be compatible with other manufacturers’ products. Just $29.95 here in our Amazon Affiliate Store. Or you can win the review sample!